Coffee Limed Oak. Contemporary clean grained with occasional knots. 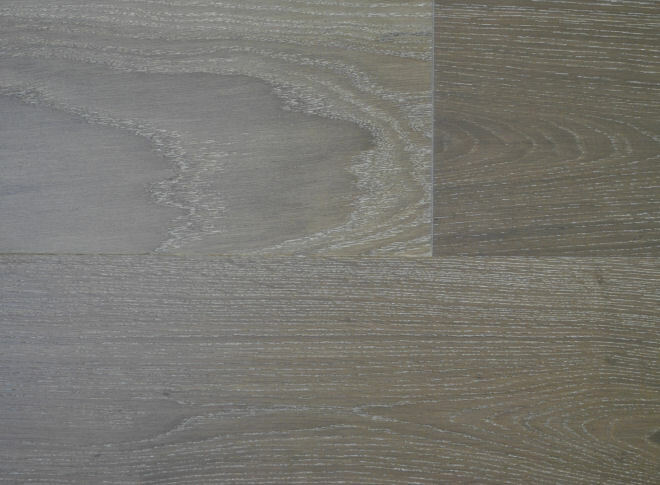 Oil finished oak in a fashionable grey beige shade. Nice wide planks finished with a hard wearing UV oil finish. Micro beveled on all four sides. Size 190mm width x 1.86m lengths x 14mm thickness. T&G on all four sides. Micro Beveled on 4 sides.